Not long after a wedding concluded Oct. 24 at St. Paul in Ellicott City, the water sprinkler system went off in the back of the church – drenching half the building and causing parish leaders to cancel all the weekend Masses. 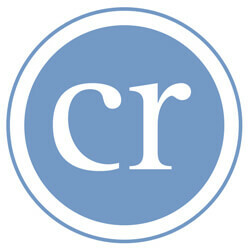 There was no fire and it is unclear what activated the sprinkler system. Water poured down on the church interior for 15 minutes before it was shut off. The pews and carpeting were drenched and water seeped into the nursery beneath the church. One of the walls of the nursery will have to be replaced. 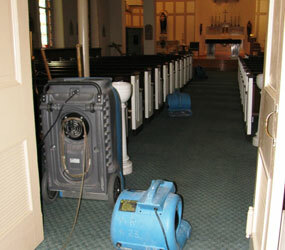 Workers from Hays Construction in Ellicott City used large dehumidifiers and fans to dry out the church. Masses were expected to resume Oct. 27. Gloria Baer, St. Paul’s office assistant, said parishioners were “shocked and very concerned that something happened,” but relieved that there does not appear to be serious damage. The parish does not expect a damage estimate from the insurance company until the end of the week, she said. Father Buening said the bride and groom took the inconvenience of the flooding “in stride.” He noted that it was also raining on their wedding day.